Boat Description With its deep freeboard, high transom, full-width aft cockpit wall for added safety, and beefy Power-Trac Hull, the Starcraft Fishmaster 1961 is specially built to be the last boat on the water. The Fishmaster features advanced wood-free construction with an all-aluminum floor and transom, together with the TBC integrated aluminum stringer system and machine-formed aluminum ribs. 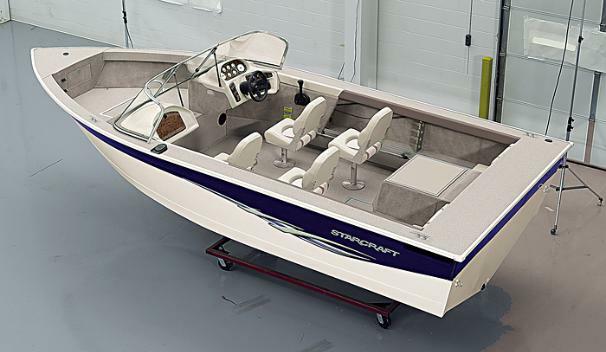 Inside the boat, there`s a high-gloss dash, bow casting center, and pinchless fishing seats.